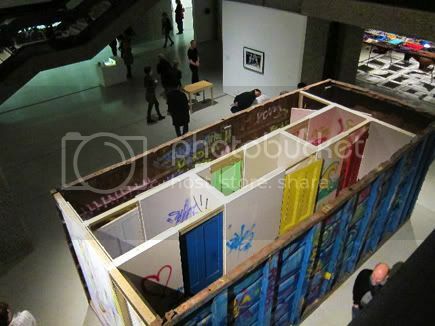 In March 2011 I was invited to collaborate on an installation piece by the great Gordon Matta-Clark at the Barbican in London. 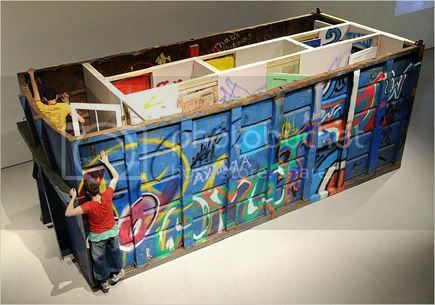 I was asked to help two groups of kids decorate the side of a reworking of Matta-Clark’s ‘Open house’ installation which consists of a small maze of corridors and doors inside a skip. The resulting piece was completely interactive.